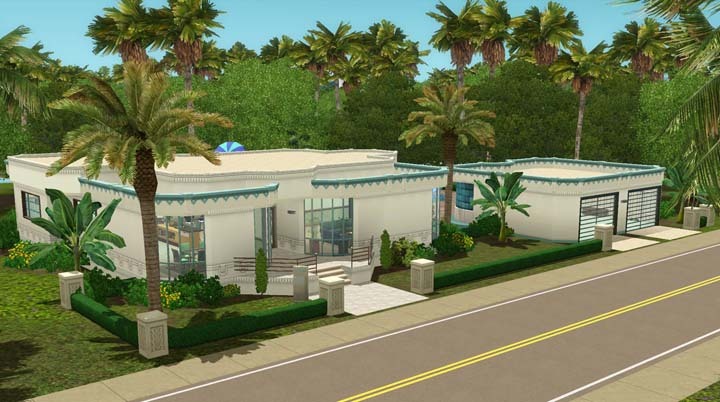 Designed for Roaring Heights, this 40 x 30 two-bedroom bungalow features rounded corner windows everywhere. Even the back of the garage includes prominent curved corner windows. The rounded pool has a small waterfall in which your sims can frolic, while a rooftop patio overlooks the pool as well as the garden currently occupied by a rusty car needing some TLC. 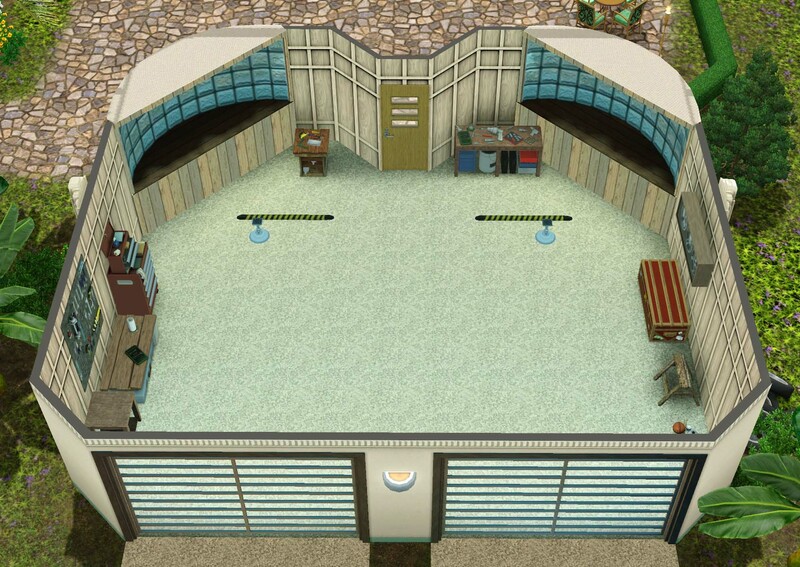 In the overview below, there's a dining area in the bottom-left corner with the kitchen above it. Continuing towards the back is a large bathroom and a hobby room stocked with a few skill items that can be swapped out as desired. The master bedroom is in the upper-right, followed by the second bedroom below it and the living room. There's lots of glass in the dining area. 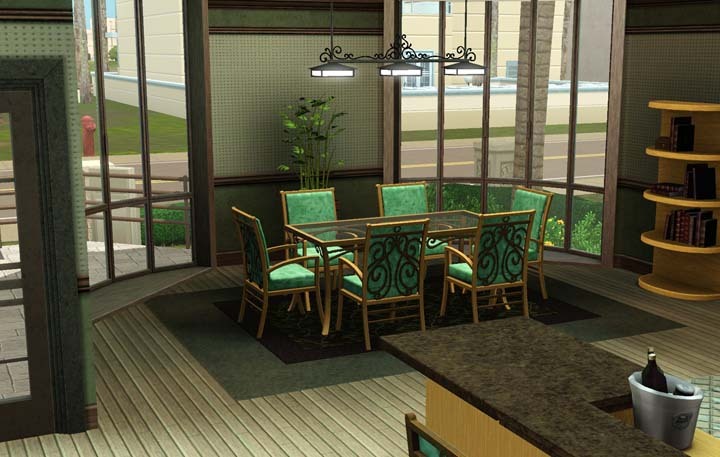 Shy sims may feel like they're eating in a fish bowl. 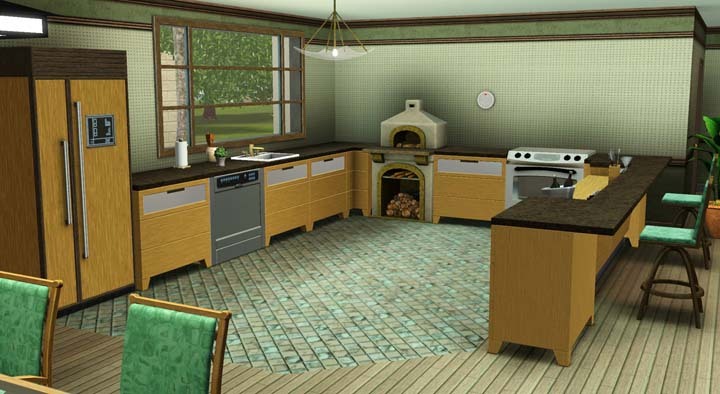 The kitchen includes a wood fired oven from Monte Vista (mmmm, fresh calzone) and a professional bar sims can use to improve their mixology skill. The walls are rather bare, awaiting your favorite paintings or prints. The living room is also framed by a couple of curved corner windows. I had to use MoveObjects to place the plants in there. A couple of spots can be used to display sims' personal mementos or trophies. Yet another curved window provides a view of the backyard from the master bedroom. The garage includes a number of items from the Fast Lane stuff pack. If you don't have it, the place will seem a little empty. 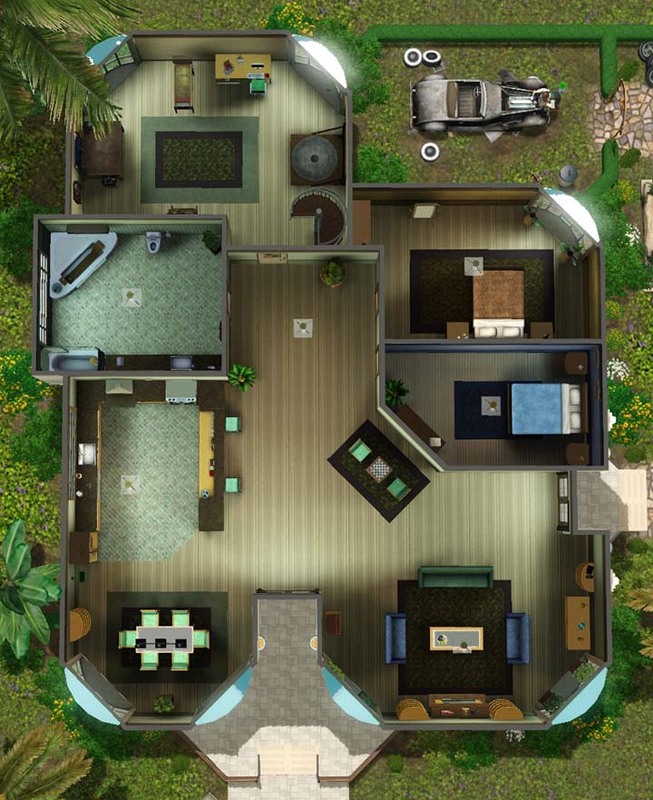 If you would like to add this bungalow to your world, feel free to download it below. Built on a 40 wide by 30 deep lot. There's no CC, but requires most EP's except Supernatural, plus many Stuff Packs. Requires the Roaring Heights store world. The Monte Vista store world provides the wood fired oven. The Outdoor Life SP supplies some lighting and chairs, plus the hot tub. Hobby items come from the Ambitions EP. 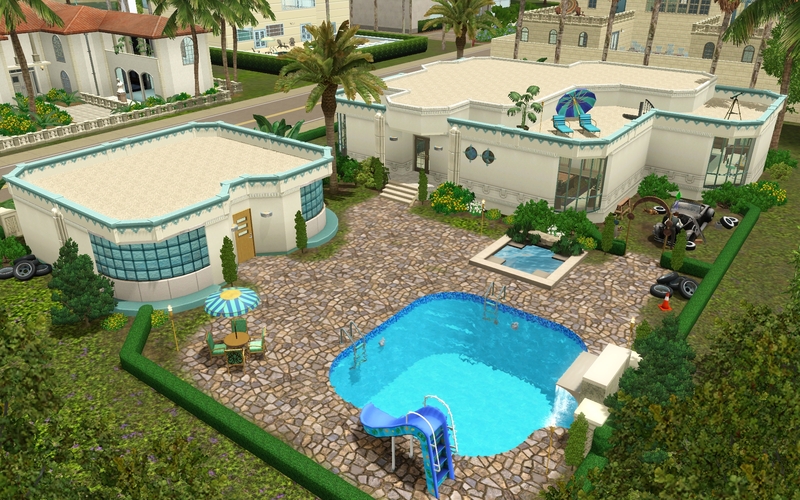 Requires the Island Paradise EP for its pool slide and waterfall. The Fast Lane SP provides the automotive tools and items. Unzip the file and place it in your game's Library folder. While in Edit Town mode, select a 40 x 30 lot and ensure it's the Residential type. Under the Show Empty Houses tab, select the Well Rounded House and place it on your lot.